Recently, the economy of Seychelles has developed to include a wide range of sectors, with the tourism expanding rapidly. Seychelles is a country located northeast of Madagascar, with most of its population living on the island of Mache, and which has the highest Gross Domestic Product (GDP) per capita in Africa. As follows, our company formation consultants in Seychelles make a brief overview of the economy in this country. The solid tourism industry has continued to drive the economy of Seychelles in the recent years. In 2016, the number of tourists reached an all time high of more than 300,000, which represents three times the local inhabitants number. Until July 2017, the tourist arrivals increased by 21% compared to the same period of the previous year. 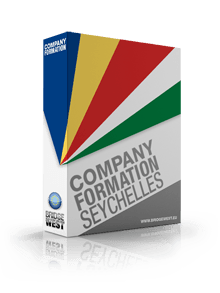 Our Seychelles company formation consultants can offer help to open a company in this sector in Seychelles. Even though the inflation picked up to 3.2% year-on-year in July 2017, the food costs remained unchanged. The private industry credit increased by 8% year-on-year at the end of the first quarter of 2017. The external position was maintained solid, with a merchandise trade deficit being stable, at around USD 450 million on a 12-month rolling basis until June 2017. In the third quarter of 2016, the unemployment rate reached 4.5% in this country, indicating a tight labor market connected with the recent economic conditions. • Farming: in Seychelles, food is always available, with tea, bananas, copra and sweet potatoes being some of the most profitable resources. If you would like to know more about the Seychelles economy, or for help in setting up a company in Seychelles, please do not hesitate to contact our friendly staff.